Paediatric Surgery is the only specialist branch of surgery dedicated to the management of surgical conditions affecting children and babies. 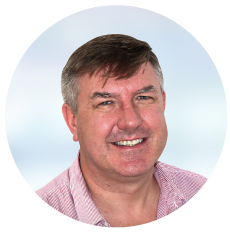 Dr Richard Thompson is a specialist paediatric surgeon experienced in treating a broad range of surgical conditions in children. Gold Coast Private is pleased to welcome Specialist Paediatric Surgeon, Richard Thompson. Dr Richard Thompson is a specialist paediatric surgeon experienced in treating a broad range of surgical conditions. He is a Fellow of the Royal College of Surgeons of England (1997), Edinburgh (2010) and Australasia (2017). In 2015 he moved to the Gold Coast from the UK commencing work as a specialist paediatric surgeon at the Gold Coast University Hospital. Additionally he provides training and education for surgical trainees as well as regularly lecturing undergraduates from Bond and Griffith Universities.